Send and pick-up greetings cards / e-cards from East Brandenburg and/or Neumark. A former Prussian province of Brandenburg, Germany. This is completely free! 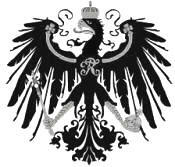 Contact the website of the Ostbrandenburg digital archive.